Our American secular culture does not include the concept of an elder, other than through age. 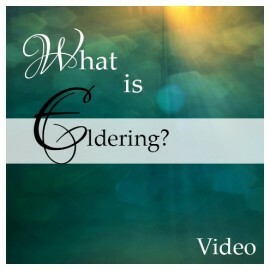 This is a teaching on the spiritual role of an actual elder. Cost includes 428 days of access after purchase date. Many people reach old age with the single goal of stepping back and stepping down. They want to move from being productive builders to being consumers in their final days. The Biblical model has people aspiring to become wise through the accumulated lessons of life and encounters with God. At some point in time, the culture recognizes that they have earned the right to transition from the office of father to the office of elder. The African and Asian cultures have some significant understanding of the role of an elder in a community, but our North American and European cultures tend to have less of a grasp. And when you move a step beyond the cultural dynamic to one’s role in the Kingdom of God, there is even less of a comprehension. The role of an elder in the Kingdom (as distinct from an elected position in a local church) will be the focus of this event. This is an introduction to the concept which we will be exploring in various ways over the next year. A Christian can become old without becoming a spiritual elder. So what choices do they have to make on their journey to become an elder? How would you know if you are on track to be an elder eventually? How will you know when you arrive? What changes when you move from being a father to an elder?